This story was written by my grandmother - Anne Theresa Hughes McCarthy . I loved this story when Nan first shared it with us; I was about 14 at the time and the idea of a girl - my age - doing all that Anne Hoey did was captivating. I am using this blog to document the story further - and to learn a bit more about myself, and my own daughter, Hannah Anne. anything in green is a hyperlink to more details! I guess that the thought in this excerpt expresses perfectly why it seems that we should all know a little of one of our ancestors. Anne Hoey was born on April 29, 1835 to Nicholas Hoey and Elizabeth McConnell. She was born in Kilcumnin Point Parish, Tirawley Barony, Killala Union in County Mayo, Ireland. At the time of her birth, Ireland, and particularly, County Mayo was in a desperate condition. The English had taken their lands and then taxed the farmers on anything they grew. Their homes were poorly furnished and the only heat was from a fireplace in the kitchen. They burned peat (which is great heat) but the only warm spot was just in front of the fireplace. What was Anne's life in Kilcumnin like? According to the "Valuation of Ireland" Co. Mayo by Griffith, Nicholas Hoey's land was taxed three pounds, five pence poor tax for the year 1835. You can see that the farm could not have been a very valuable piece of real estate, even by the standards of 1835. The County Seat of Mayo is Castlebar and sometime I hope to be able to get there to see if I can find any more information on the Hoey estate. When Anne was about ten years old, her mother died, leaving four children. This must have been a very difficult time for her father, because he had to work the poor land, and somehow, care for these very young children. His solution was a natural one -- he married again, and very soon had a new family started. About this time the terrible potato famines were starting. All of Ireland suffered terribly but County Mayo had the worst time of any of the counties. (Read "The Trinity") The potatoes, which were the mainstay of the diet, rotted almost as soon as they were dug. Several years before this Anne McConnell (Anne Hoey's aunt) had come to America and married John Edwards. They lived in New Orleans and were "well-off". How do we know what that meant? After her sister (Anne's mother) died - Anne McConnell Edwards, who had no children, wrote to ask if Anne, her namesake and god-child, could come to her in New Orleans. She enclosed the money for the trip - the passage was $32.00. Undoubtedly, since there was a new family starting at Kilcumnin Point, and food was very scarce, her father agreed to let Anne come to America. What heartache that must have been. He knew he would never see her again, but it certainly was the best chance for Anne to have any kind of life. Anne was just twelve year old and must have been a very naive little girl. She'd probably never been out of the little town she was born in, and she now had to face a trip over three thousand miles, and had to do it all alone. Just to get to Galway, where she would get the ship, must have taken at least a week. She would have had to come all the way in a farm wagon. Then when she got to Galway, she probably would have had to wait for passage. Finally, the passage was available. I believe she sailed under the name of Anne Edwards (her aunt's name) because since she could neither read nor write, she must have had with her the letter from her aunt Anne Edwards. This letter would have been necessary so that her maintenance would be assured in America. I have found this name on the list of passengers that left the port of Galway on the Cunard sailing vessel "Emma Prescott", in May 1847 and docked in New York on August 10, 1847. These dates and ports of embarcation check perfectly with the story my grandmother told me, so it seems logical . Anne got on the sailing ship with her own feather bed, a ham, her small purse on a cord around her neck, with the money to get to New Orleans to her aunt, and the brass candlestick. This had been her mother's and probably was the only pretty thing in that old cottage back in Kilcumnin Point. Can you just imagine what the poor child went through. She'd probably never seen a sailing ship and her she was alone, for three months on this monster that pitched and rolled constantly. 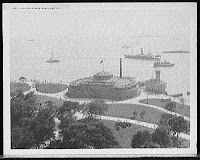 She landed in New York on August 10, 1847 and was taken to Ellis Island. 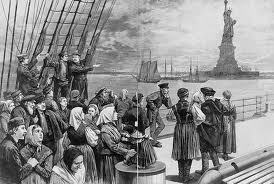 All immigrants had to go through long questioning periods an a complete physical. At this time, because of the famine in Ireland, they were very concerned about tuberculosis coming in to this country. On August 13th, Anne passed all preliminaries and went to take a bath and get herself ready to go to New Orleans. She took the purse, with the address of her aunt and the money, off her neck. When she came out of the bath both the purse and the address had been stolen. Since she was illiterate, she had no idea where she was to go. Without money or the promise of support she couldn't be released. The very next day a woman, who ran a boarding house in Hell's Kitchen, came to Elliis Island to hire maids. Anne got the job. 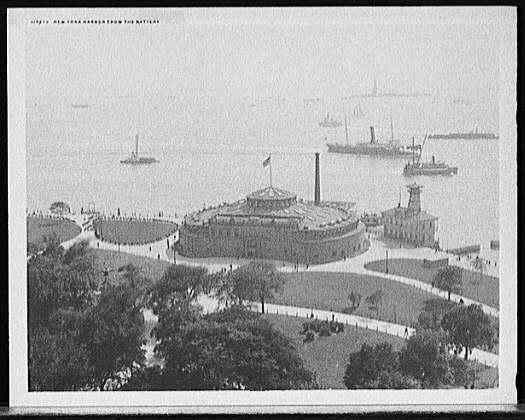 She left The Island and landed in New York on August 15, 1847. What was life like for Irish girls working as maids? and What was the daily routine of an Irish maid? By the time she had someone write home to Ireland and explain what had happened and received an answer, almost two years had passed. Hell's Kitchen and Anne in 1850. After that much time Anne, no doubt, had decided she liked being on her own -- she was about 15 by then, and I sort of think she'd met John Nolan, because she was married soon after. John was from Wexford. I am not sure if Anne ever saw her Aunt Anne again. Now the story gets a bit mixed, because Mom (my grandmother editors note, Mary Nolan Gagan) told me that Anne was married at 16, but that doesn't fit future dates. Either Anne wasn't sure of her age or she fibbed a bit about her age, and who cares. After Anne and John were married they moved to White Plains to work for Whitlaw Reid, the owner of the New York Tribune and one of the most illustrious reporters of the Civil War. 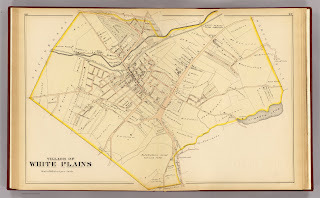 In the 1880 census - at that National Archive A 391 Pages 29-30 Supervision District 3 -- Enumeration 130, the whole family is listed in White Plains, Westchester County, New York. Note that Anne seems to have given birth ten times! Maurice (spelled Morris) was born in 1858. He married Margaret Haggerty of Greenwich and they had one son - also Maurice. A baby (no name) was born in 1960. He must have died immediately and is buried in Calvary Cemetery in New York City. There were two boys, Stephen (named for Anne's brother) and John born between 1860 and 1865.. They had been given ice skates for Christmas and John fell in the pond while trying them out for the first time. Stephen tried to rescue him and when they were pulled out, they were tightly wrapped in each others arms. Mary was born in 1865 and married John Willy Gagan and was my grandmother. Her children were Mary Ellen, Anne, Stephen and Irene. Mary Ellen married George Hughes and their children were Anne Theresa, Mary, and Rita. (Another post on the George Hughes children "Amelia Earhart" ) Anne Theresa married Daniel Patrick McCarthy and their children were Sheila Anne and Mary Ellen. (More post on Dan and Ann: Necking in a rumble seat) Sheila Anne married Sam Begg and their children were Amy Anne and Heather Lyn. Amy Anne married Tom De Groff. Ellen was born in 1868 and married John Halligan. Their children were Frank, Jo, Florence and Edward. John was born in 1871 - a twin, (his twin died when he was only a few days old) . He married Etta Grey and their children are Margaret and Anne. Catherine was born in 1872 and married James Kelly. They had Clarence, Agnes, Loretta, Margaret, Mae, Helen, and Walter. Nicholas (named for Anne's father) was born in 1875. He married Margaret Gilmore and they had Jack, Helen, Francis and Rita. Margaret was born in 1877 and married Philip Murphy. They had no children. Anne's husband John died in 1880 at 56 and she was left with seven children, several of whom were quite young. 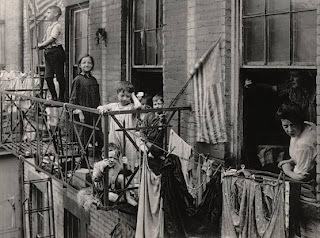 She went on working for the Reid's for many years, but I am certain that the children all started to work as soon as they were able, because she bought a home in East Port Chester and owned it "free and clear". Although she never learned to read or write she new exactly how to figure her taxes and knew to a penny what they should be each year. Anne had never been able to go to school because of the English stranglehold on her country when she was young. The schools were not for the masses, only for the children of the large landholders and of course, they were all the English landholders. I only have one memory of Gramma. It must have been shortly before she died, because I can remember going into her bedroom. She was propped up in a big fluffy bed, her hair was pure white and she had on a white nightgown trimmed with violets. When I came into the room she said "Here's my Ducky Dorie" and took me into the bed with her -- it was so cuddly and warm. Maybe she had her featherbed on it. I think this must be why I love violets so much. According to her death certificate, Gramma died on March 26, 1915 at the age of 80. As long as Gramma lived and for many years after her family celebrated August 15th. When we were growing up it was the high spot of the summer. We'd go to Oakland Beach all day to swim because there's supposed to be 'a cure' in the water on that day. We'd have a picnic lunch, but the high point was when the fathers all arrived for supper. You can imagine it was quite a group -- the whole family came. After supper we all went on the rides at Rye Beach and that was the frosting on the cake. Another interesting twist has turned up in my long quest. As I told you in the beginning of this narrative, Gramma's father married a second time. There were two boys in this second family - Nicholas and Neil Hoey. Several years after Gramma came to America, they came, but didn't get in touch with her for many years. As a matter of fact, she ever saw them at all, but did see her nephew, Neil. who came to Port Chester to see her a few times -- and then just seemed to disappear again. The two boys had gone to Pittsburgh -- Nicholas settled there and Neil settled in Uniontown. Nicholas married Mary Donahue in 1881 and had a son, James, who became a police detective in Pittsburgh. We learned from the police retirement rolls that James had a son, James, who is a Civil Engineer, and lives at ****, Ambridge, PA and a daughter, Mary Walsh, who lives at **** in Pittsburgh. Mary Walsh lives only a few blocks from where we lived in Pittsburgh (editors note - where the Daniel McCarthy family lived in Pittsburgh), goes to the same church, and strangest of all, Mickey [editors note, Daniel and Anne McCarthy's youngest daughter - Mickey] and Mary Walsh's daughter both went to Fontbonne Academy. Isn't it strange that two of Gramma's descendants should end up in the same little school, so many miles away from Kilcumnin Point. 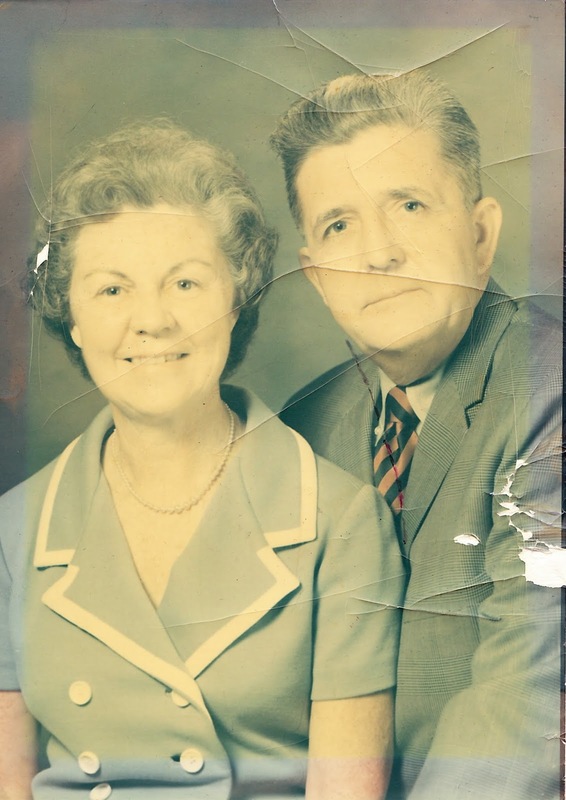 In 1982, my grandmother wrote out --on two yellow note pads-- her great grandmother's story of her journey from Ireland at the age of 13 to New York where she landed in Hell's Kitchen. 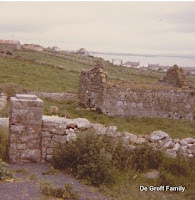 My grandmother did extensive research, using Census records and Irish land ownership documents for this project. The story of Anne Hoey, passed down mother to daughter, proves document-able and holds up. From the moment I read the story, I wanted to know more. Years later, Annette Gordon Reed (The Hemings of Monticello) , entered my awareness and this blog was born. I beg your indulgence and patience as I try to learn more about who I am, by reviewing those from whom I came. Anne Hoey's Family Tree - Her to Me ! 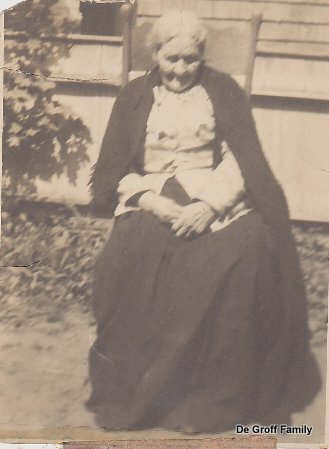 A site covering my research of my mother in law's family -- and my children's German ancestors.